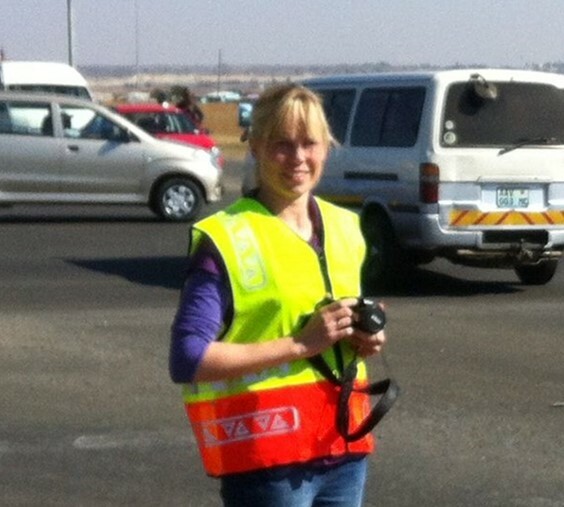 "A valuable encouragement for women entering the engineering profession"
Iris Wink is the first female road safety professional to receive an IRF Global Credential for Road Safety Audit Team Leaders. Launched on September 13, 2017 the IRF Global Credential Program remedies a critical gap by offering a pathway for seasoned road safety auditors who wish to enhance their qualifications at home or seek work abroad. Candidates are required to take an online knowledge qualifying exam and submit a comprehensive application presenting their professional track record and details of the projects they have audited in order to complete the program. Michael G. Dreznes, IRF Executive Vice President, noted "the road safety audit reports submitted by Ms. Wink demonstrated a good understanding of safe systems concepts. In particular the comments on speed, speed management, and barrier types/end treatments show that she is looking for the right things when conducting a safety audit". Ms. Iris Wink, who holds a MSc in Civil & Transportation Engineering from Leibniz University, Germany and has wide experience working across Sub Saharan Africa, commented "I am very passionate about Road Safety. Too many of us engineers still like to design strictly according to the guidelines and we hope to awaken them to realize the importance of safety aspects, especially when it comes to vulnerable road users. Receiving this certificate is another valuable sign to encourage women to go into the engineering world".